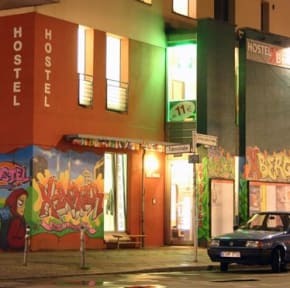 Hostel StayComfort Kreuzberg i Berlin, Tyskland: Reservér nu! We charge an extra €2 per person for the bed linen. You can also get the breakfast for only €4 or towels for €1 in case you need it. 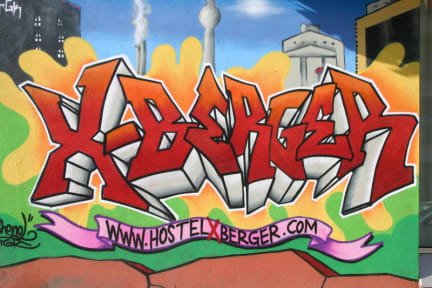 The Hostel StayComfort Kreuzberg is equipped to meet all safety precautions. We have installed alarm, fire-alarm and video surveillance as well as a safe. You can be sure of a carefree stay in our house. All around the Oberbaumbruecke (bridge upon the river spree) you will find a lot of art and history concerning Berlin. There is no lack of events and providing good weather, you can wonderfully relax in the many adjoining parks which are in a comfortable walking distance. Our central positioning and ideal connection to public transportation (400 m till Metro station) allows anyone interested in Berlin to discover the city and have exciting experiences.